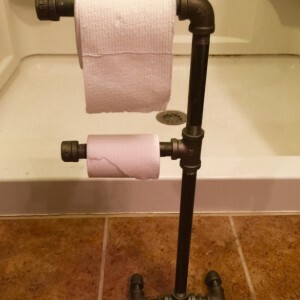 Industrial Black Iron Pipe Double Toilet Paper Holder, Urban, Loft, Steampunk Style - Complete or "DIY" parts kit (easy assembly) Urban Industrial Pipe Toilet Paper Holder, Loft/Steampunk Style Constructed of highly durable industrial construction grade black pipe commonly used in industrial and commercial gas pipe systems. 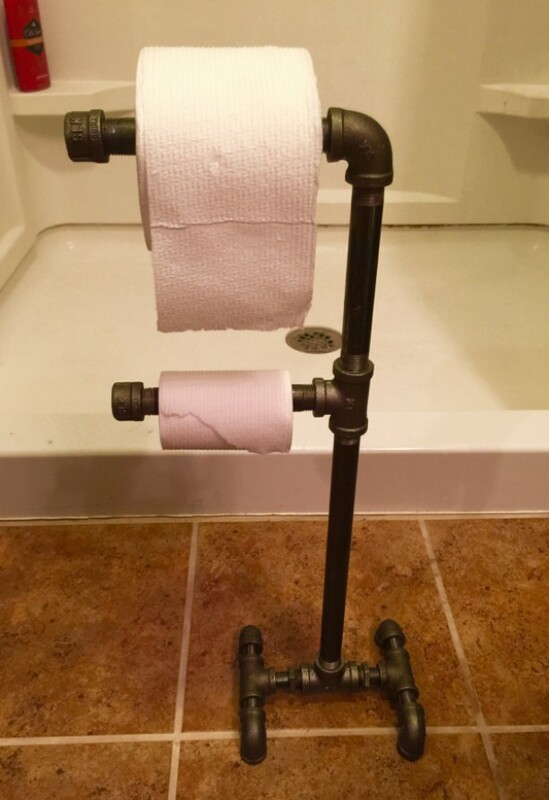 This free standing toilet paper holder design will add character to your bathroom. MORE LISTINGS FOR BLACK PIPE @ https://www.etsy.com/shop/PipeLineDesignStudio?ref=hdr_shop_menu Dimensions -Approx. 23 inches tall and 8 inches wide. 100% satisfaction guaranteed or your money back. Assembly and Cleaning of pipes recommendedPlease reference the Q & A section in my Etsy shop for instructions on cleaning and more details regarding the black pipe products sold in my store.